 BREATH OF AIR ALL THE WAY..
Who else knew? The three major market movers in the Classic trials at Newmarket yesterday all won, and one won so well that she became clear favourite for the 1,000 Guineas, back on the course in less than three weeks time. Qabala had obviously performed well at home on the gallops and she was given a tough educational ride by David Egan, striding clear out of the dip. Could improve again. But it’s a worry that the second filly home in the race, the Nell Gwyn Stakes, was her stable-companion, Mot Juste (surely not two Guineas fillies in one yard?) The same stable had also won the opening handicap. In fact, second and third (Angel’s Hideaway) had finished one-two in the Oh So Sharp last year, a Group 3 in which Mot Juste was awarded only 103. So, in theory, Aidan O’Brien’s pair, Hermosa (110) and Just Wonderful (107) wouldn’t have to improve much to repel the Qabala charge. In fact, yesterday’s result smacks to me of a well-executed plot by Roger Varian to catch the others out for fitness and lift the Craven Meeting prizes from under their noses. Typical of Roger’s mentor, Michael Jarvis, who would often emerge from the pack of headline trainers and catch them on one hoof. My pick of the opening day was Kick On for John Gosden. He may have beaten nothing, and by only a neck, but his sheer tenacity struck me as one to steal the French Guineas by getting a run on the rail and sustaining it, while the French ‘stars’ typically wind up too late in the short straight at Longchamp. Deffo place chance. Mind you, I wouldn’t mind being one of the smart set who grabbed the 66-1 available for the Guineas about Qabala before she won! BREATH OF AIR ALL THE WAY..
1.50 Newmarket It was a plus for Qabala that she won down the outside of the pack (from gate 7), the rail bias being exposed by success for stalls 1, 2, 5 and 5 in the first four events. Apart from our promise to follow the market, we also should be mindful of the draw, particularly if there’s something capable of running that rail as Kick On did. So it is that Breath Of Air (from the one stall) must be backed in this opener, having made all as a two-year-old to beat the Greenham winner, Mohaather. 2.25 Newmarket (Wood Ditton Stakes) Time was when you followed the result of this race and backed the ‘also rans’ for the rest of the season until every one won a race. Everyone did; every one won. But last year, the second, third and fourth (I couldn’t face looking at any more) didn’t have a single win amongst them for the rest of the season! A long list of losers like Brexit votes in Parliament. Second 100% reliable Wood Ditton system (famous last words) is that the winner invariably came from stalls 9 to 13. Eight out of nine, in fact, until the unusually big field last year (won from 19). It’s another ‘must’ then, isn’t it! Must back the man in form, Roger Varian, saddling UAE Jewel from gate 11. 2.40 Cheltenham (Silver Trophy) I could tell you that, in the last five seasons, there has been no winner carrying more than 10st 12lb. But this is a completely different race. Last year, for instance, only two runners had more than that 10-12 or so cut-off mark. Today only two have less! Man in form is Dan Skelton with 12 winners in 13 days, and Rene’s Girl has won twice before after a break, though has never won above Listed level and is stuck on the same rating since November 2017. A hat-trick has put Imperial Presence on a career high mark and Kings Monarch has been hiked 13lb for a novice success on the last day. Mister Whitaker is the class horse, winner on both Cheltenham courses, including at last year’s Cheltenham festival. He flopped at the festival this time round but can he bounce back, dropped to his winning trip and with cheekpieces fitted? With his trainer, Mick Channon, out of form (not a word my man in the long grass there), I prefer Wenyerreadyfreddie, 6.8 on BETDAQ. Like Renes Girl, freshened up but after considerable progress in the autumn. Chase form on good ground: 1122. 3.00 Newmarket (Abernant Stakes) Brando is going for a hat-trick for trainer Kevin Ryan, who has won the race five years out of six. Talk about getting them ready bright and early while other yards are still sleeping! Brando, says the handicapper, has 6lb in hand of the next three in the market, Dreamfield, Yafta and Gifted Master. Richard Hannon (Yafta bred to improve) is 1-17 at the two big trial meetings of Newbury at the weekend and Newmarket yesterday, and Hugo Palmer (Stewards Cup winner Gifted Master) has been playing at a much lower level. 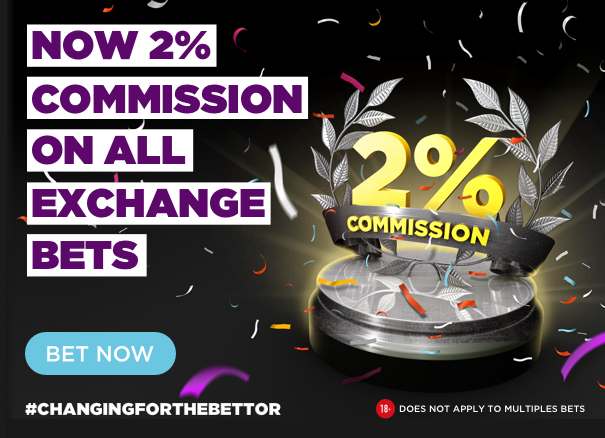 John Gosden is in better form but Dreamfield was well behind Brando in the July Cup, and the favourite looks best of the day, exchanging at a profit of 15 for every 10. 3.35 Newmarket (Craven Stakes) This trial was on a high through Guy Harwood (Dancing Brave) and Sir Michael Stoute (hat-trick) in the 1980s. But it fell out of favour (Haafdh, 2004, the sole Guineas winner since), though not with Team Hannon, who won it in 1990, 2000, 2001, 2003, and for four consecutive years (2012-15 inclusive). 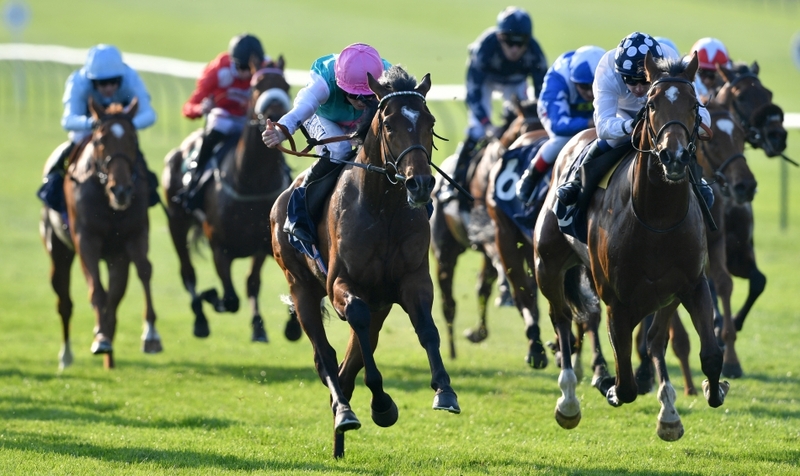 The East Everleigh contender, Watan, is sired by their 2013 winner, Toronado, but Watan has to improve a ton on his 15-lengths fifth of six behind Too Darn Hot at Sandown in September. He was second favourite then so probably failed to show his true form. He might bounce back today but without being enough to catch Zakouski. Skardu is another with just the one win but reckoned to have a big future, and Royal Marine brings the best form to the table, only a neck behind Broome in the Lagardere at Longchamp in October before that one went eight lengths clear in the Ballysax.